Throughout your life, you meet many different people and witness many unique experiences. Sometimes they are beautiful and sometimes they are awful. It’s weird how you remember the bad experiences more than the good ones. And that makes it harder to move on. It can be especially hard to forgive someone who purposely hurt you. Any sort of explanation doesn't suffice for their action. You just can’t forgive this person for the pain they caused you. And that’s okay. You are allowed to feel angry and sad. But you need to understand when you need to stop. Stop being angry. Stop being sad. Stop being miserable. You should try to rise above the pain. And it certainly doesn’t mean that whatever they did is excusable and you’re okay with it. No. What’s wrong is wrong. You’re not trying to make them feel better or make them think that their mistake is justified and you’re fine with it. You are trying to make yourself a better person. By holding grudges and resentment you’re actually feeding to the harm they caused you. It’s not about forgiving others in such circumstances. It’s about forgiving yourself because you failed to judge this person’s intentions properly. And that’s okay. It happens. Sometimes there’s more to than meets the eye. Forgiveness is about not giving any emphasis to the bad experiences. You don’t always have control over the experiences you have but you do have control over your reaction to those experiences. 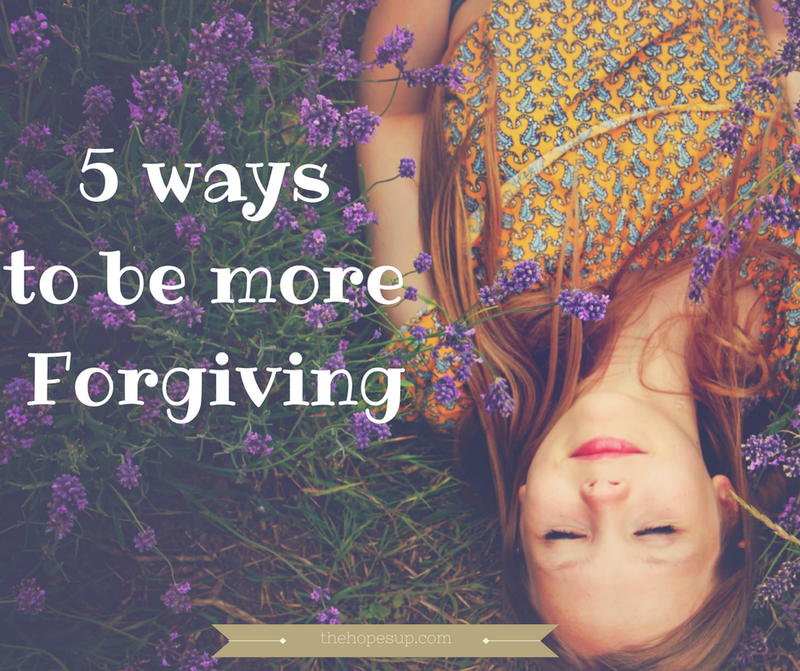 You can choose to be more forgiving and become a positive person. Whatever be the reason for your grievance, it’s in the past. It has already happened. There’s nothing you can do to change it. By constantly thinking about it, you’re ruining yourself. Instead, focus on the good things and healthy relationships in your life. Don’t let bad memories take up all the space in your mind. Don’t prolong your pain and suffering. Make an active endeavor to end it. It’s a process, but each tiny step will make you happier every day. Move from the dark space. Bring in positivity in your life. 2. Realize that everybody makes mistakes. People do make genuine mistakes. Or they unknowingly hurt someone. Nobody’s perfect. Sometimes even with good intentions, people end up making irrevocable mistakes. If you know the person well and you truly believe they love you and care for you, you should give them another chance to make corrections. Make boundaries, leave a relationship or just completely cut ties with someone. Do whatever you have to do to remove this chapter from your life and move on. Holding a grudge will not make things better for you. Listen to yourself and do what you think is right for you. Avoiding the cause of your unhappiness may work for a short period of time but eventually, you will have to face them. It’s better to confront them and bring an end to your resentment and suffering. 4. Take it as a lesson learned. A bad experience will make you realize your flaws and your weaknesses. You will realize what makes you vulnerable to such unpleasant encounters. You will know where you need to make amends. And by forgiving someone, you are affirming this life lesson. 5. Become a better and wiser version of yourself. It’s not always easy to forget unpleasant experiences, but by forgiving them, you will be free. You will not let that experience continue to bother you. You are in charge of your happiness. Sure, our life is shaped by the interactions we have with other people in our lives, but you have to bring in the love from yourself first. Bad experiences are a part of life. The only good thing about such experiences is that they make you stronger and more determined. You need to heal yourself from the bad experiences with love and optimism. You don’t deserve the bitterness and anger you have inside you that makes you unhappy. Holding on to resentment makes you vulnerable. You can’t open up to anyone else. You can't trust anyone. You constantly fear being hurt. And that’s definitely not the way to live. You deserve to be happy. Allow yourself to receive positive energy and enjoy the little pleasures in life. What is your take on forgiveness? Comment your thoughts below. And if you liked this article, don’t forget to share it with others. Have a great day! The ability to forgive is a critical gift you can give yourself! Love love love tip 3 - Reach a conclusion. This is often not spoken of, and it should be. Forgiveness means something not right has happened, and for some relationships, it means a break. I have read so much about forgiveness, which doesn't mean forgetting - it means letting go of the hold the event had on us. Thanks for sharing! Hi, I loved reading this post. Indeed we can't change the past and make mistakes but we can learn from it. Awesome tips, I yearn to change for my betterment and I like that "Become a better and wiser version of yourself." Helpful learning curve! It isn't easy to learn how to forgive, as the hurt being felt determines at times, how one is willing to start the process of forgiveness. Thanks for sharing these tips. "By holding grudges and resentment you’re actually feeding to the harm they caused you . . . It’s about forgiving yourself, because you failed to judge this person’s intentions properly"
It reminds me of that quote about how holding onto grudges is like drinking poison and expecting the other person to die. I understand that there's a processing period but extending it is unproductive and wasted energy. Harboring negative energy won't exact punishment on that person nor will it inspire any change within them. Like you said, the only person we can focus on is ourselves and how we respond to a situation. It is important to reflect when we encounter situations like this so we can internalize what we learn from them. As always, great post! Thanks for sharing.